Stunning sunsets are waiting for you at this beautiful home with a guest house! You won't want to miss out! Set on 4.5+ acres, the main home is 3 bedrooms, 2 bath and is lovingly maintained with a large open floor plan including the great room, dining area and kitchen with an added family room with wood stove. There is a large laundry room as well. The details and improvements are wonderful and you'll want to see for yourself! The guest house offers one large open space (no bathroom) and would make a great artist studio too. 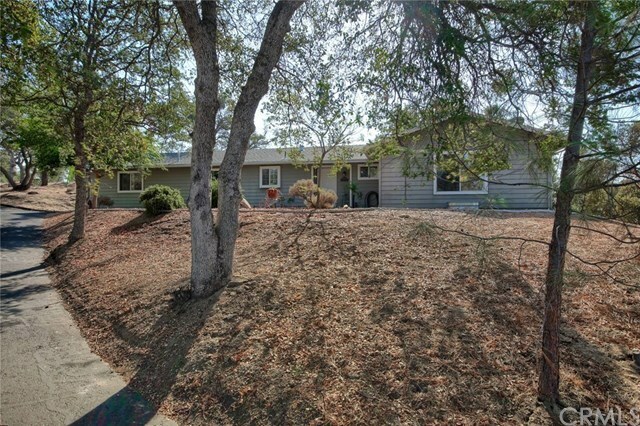 Enjoy the views and privacy from the patio area since this property backs up to a large ranch. Plenty of parking. A big storage shed offers plenty of room to put your garden tools or it would make a nice sized work shop. Located in Yosemite Lakes Park for great community living with a golf course, swimming pool, tennis courts equestrian center, restaurants, clubhouse and has an easy commute to Fresno or Minarets High School. Directions: Hwy. 41 to Yosemite Springs Pkwy. to right on Copper Creek Dr. to end of cul-de-sac.